One of the biggest reasons for my trips to London is to see friends and each time I visit, my friend L spoils me by taking me to restaurants trending at the time. 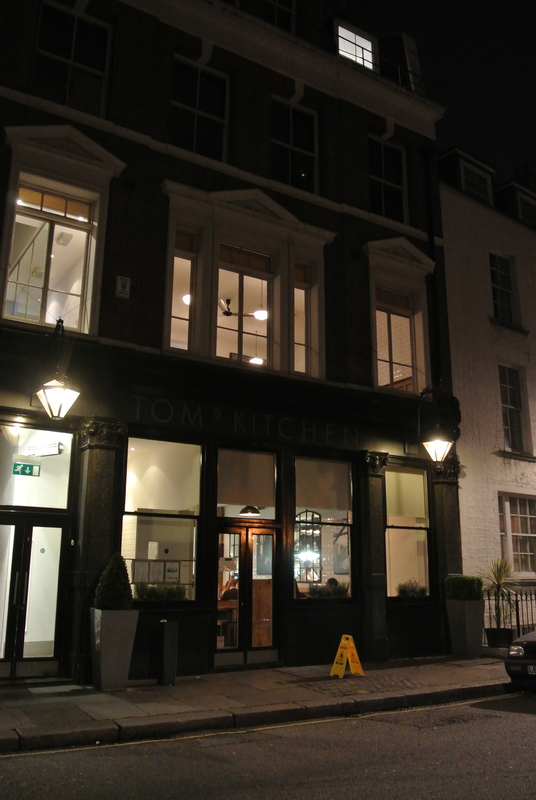 This time it was Tom’s Kitchen in Chelsea. Located just off King’s Road high street near Sloane Square, the restaurant is within a townhouse. 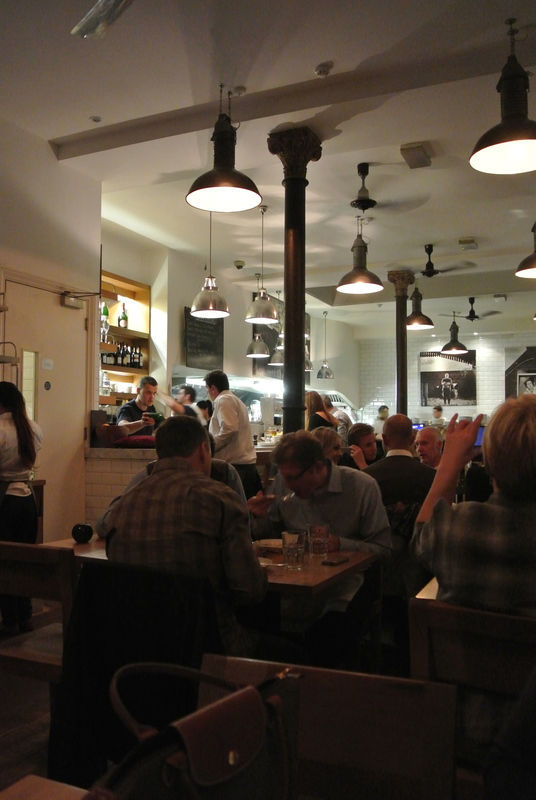 The restaurant is the more casual sister to Tom Aikens Restaurant – a Michelin star restaurant. Loved the vibe and the relaxed decor, a great place to come for dinner with a group of friends. The menu is of comfort food classics with a twist, the most popular being their top rated macaroni cheese with truffles and I can testify, it definitely lives up to the hype. Full of cheese and creamy goodness – the best part of the meal! 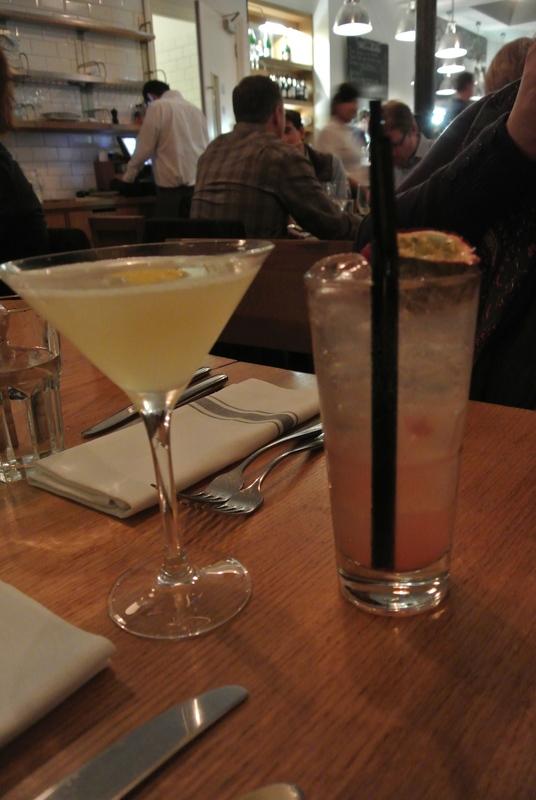 Some yummy cocktails to start the evening! 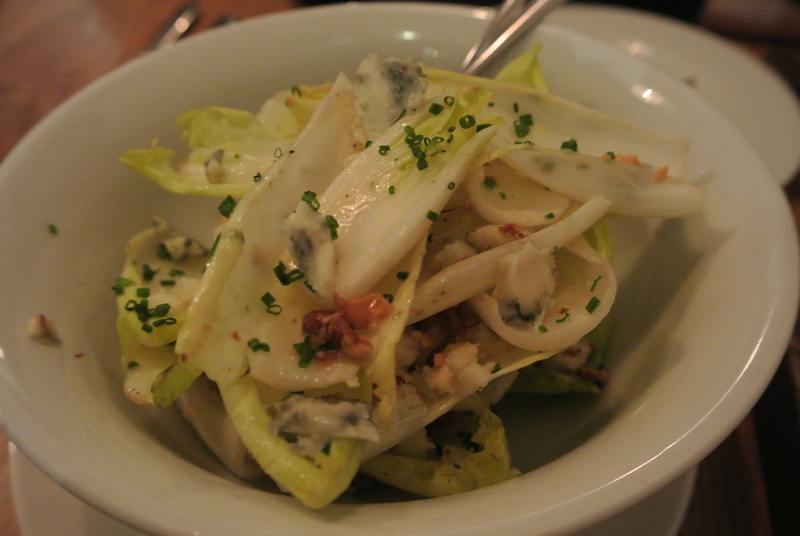 Endive, walnut and roquefort salad with creme fraiche lemon dressing. 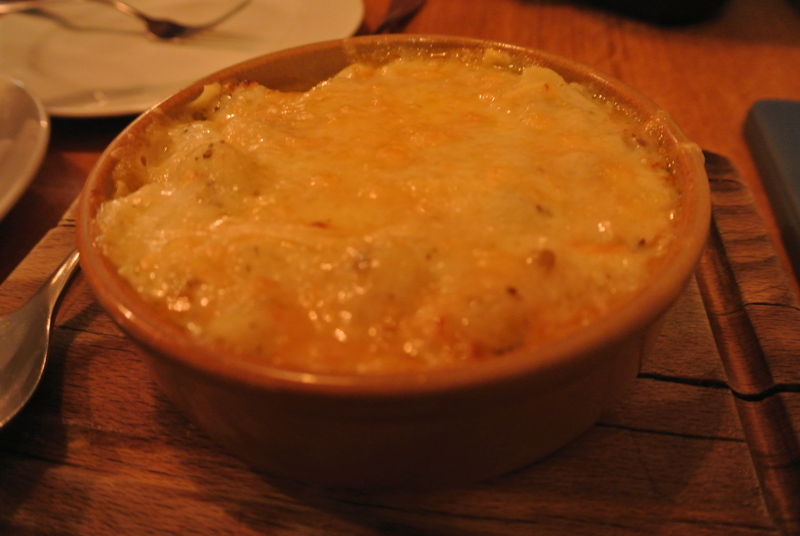 Tom’s Macaroni Cheese with truffles – rated top mac & cheese in London! 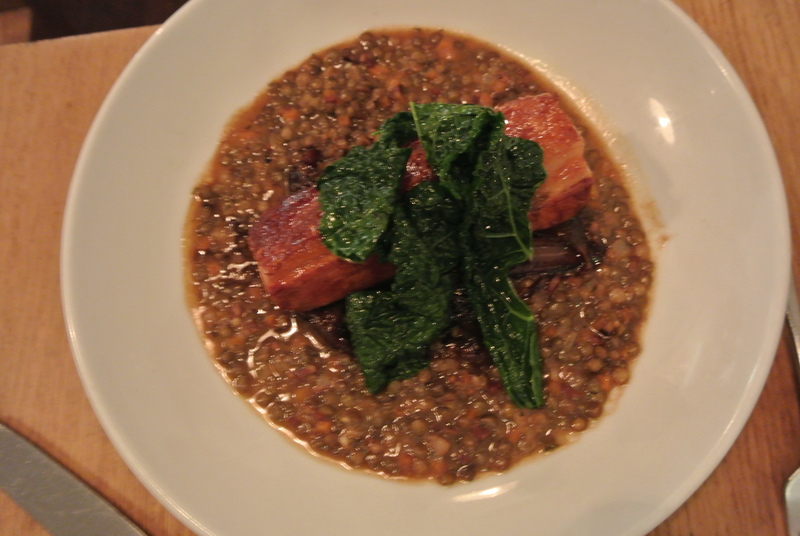 Slow roast pork belly with buttered lentils and balsamic onions. 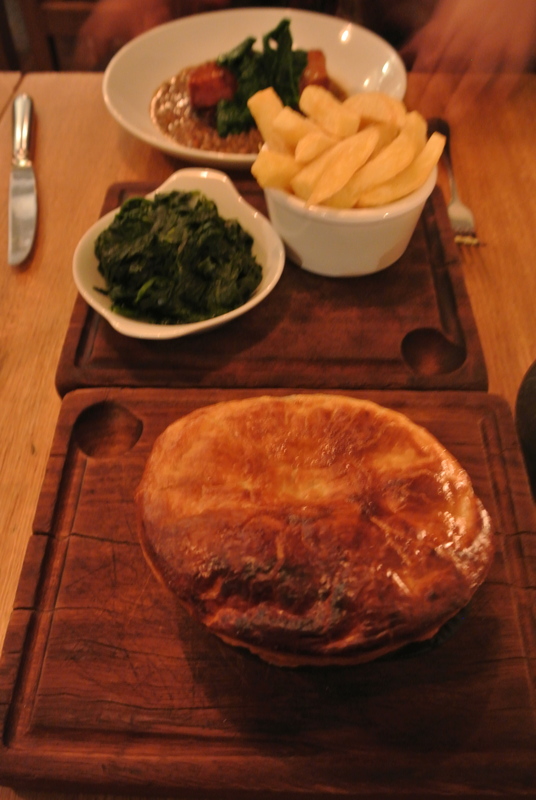 The special for the night, Pot pie with steamed spinach and triple cooked chips for sides. 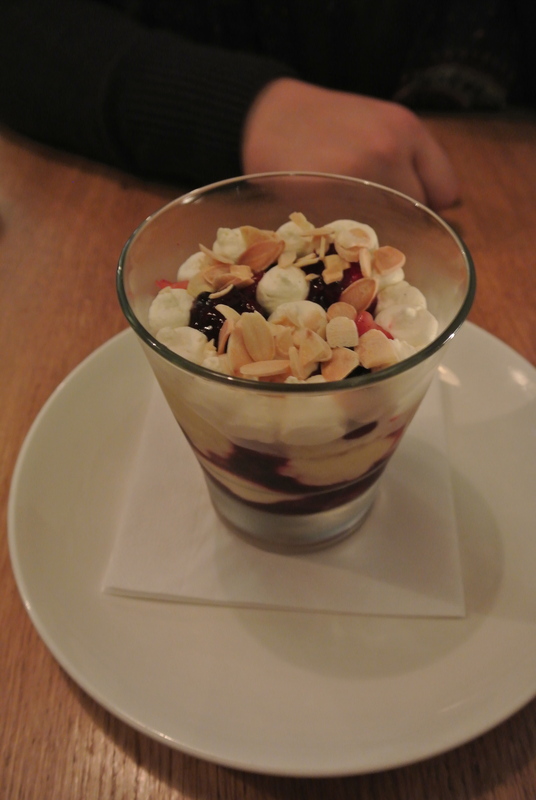 Beautiful sherry trifle for dessert.